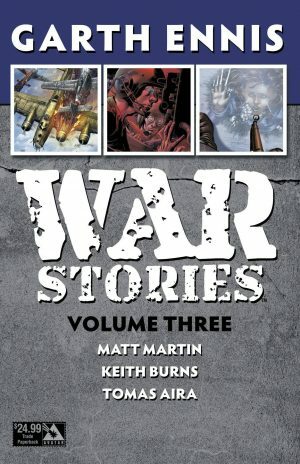 What does it say that Garth Ennis is about the only comics writer interested in writing war stories for the US readership these days? Certainly that the market for them is dead. Why is that? War stories concern either ordinary humans acting with great courage in terrifying circumstances or exceptional minds countering seemingly undefeatable forces. Either way they’re about shredding the odds. 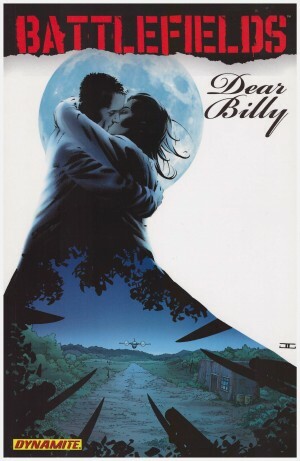 Throw in the technology, the tragedy, and the humanity and there’s the recipe for first class drama, and isn’t that a primary consideration for a graphic novel? 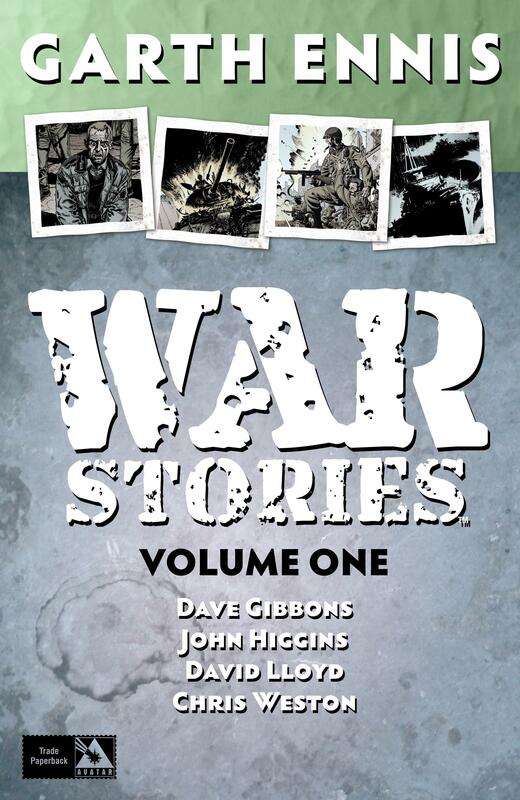 Each of the opening two volumes of War Stories, those originally published by Vertigo, gathers four tales. They’re illustrated by the cream of British comic artists in the opening decade of the 21st century. Can there be any complaints about page after page by Dave Gibbons, John Higgins, David Lloyd and Chris Weston inked by Gary Erskine? 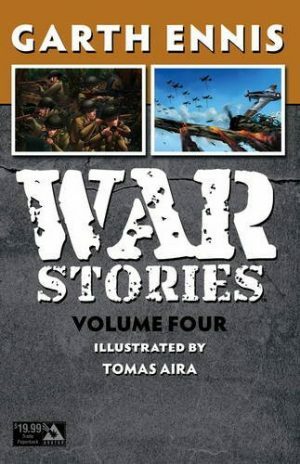 They spent their childhoods reading British war anthology comics, as did Ennis, reflected in the research, precision and effective telling of the stories. Ennis shifts the tone according to what’s appropriate. ‘Screaming Eagles’ is a largely genial tale, while the fears and claustrophobia of serving on a warship turn ‘Nightingale’ into a horror story. Despite Lloyd’s superbly convincing portrayal of the horrific conditions endured in the North Sea, this is the least engaging of the four stories. 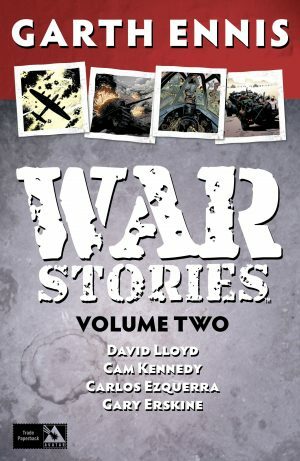 The revelations of the opening pages kill any subsequent tension, and Ennis is more concerned with relating the day to day experiences of life on a convoy guarding warship, which he does with a brutal intensity. The strip is a damning indictment of Admiralty incompetence, those sitting behind desks hundreds of miles away on land so often with the fates of the entire crew in their hands. “Then one morning I woke up and realised my life was an atrocity” is the key line in ‘Johan’s Tiger’, the story of a German tank crew keeping a necessary step ahead of Russian forces that have set a relentless pursuit Westwards. Their leader requires redemption and intends to achieve it by delivering his crew safely to the Americans. Ennis straddles some fine lines in first making a sympathetic protagonist of a driven man who’s committed atrocities, then accidental heroes. Higgins (sample art left) brings character and gritty locations to ‘D-Day Dodgers’, the title a term that spawned a song, derisively applied to troops who didn’t participate in the battle to free France, irrespective of the intense comabt occurring elsewhere. Ennis focuses on an under-supplied squadron fighting their way up through Italy. A leader’s crisis of faith underscores a story of men being pushed to the limit on impossible missions. It’s the most powerful piece in the collection, and you’ll have a heart of stone not to be moved by the conclusion. 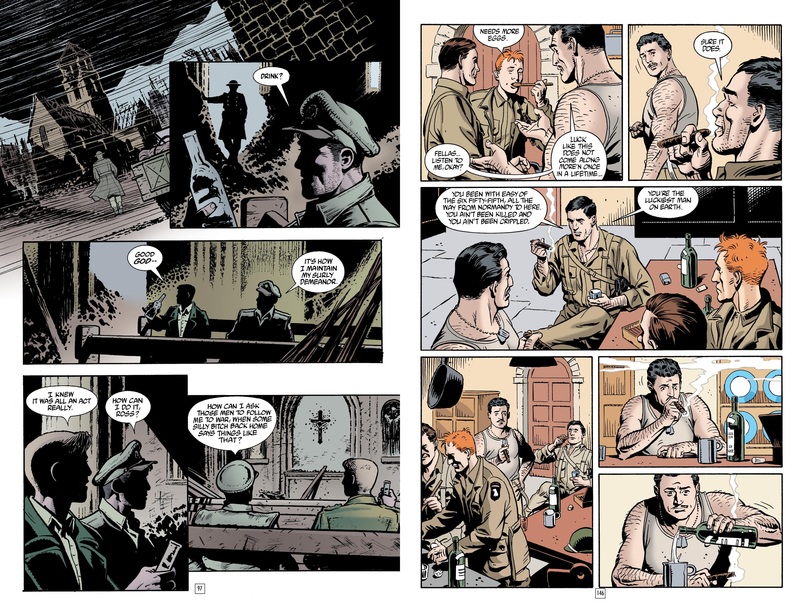 Gibbons (sample spread right) began his career drawing war comics, and is magnificent in bringing character to a brief oasis among the carnage for American soldiers who’d landed in Europe having been given ludicrously optimistic projections as to the length of their stay. It’s a clever piece, contrasting the unexpected joy with the deaths that earned it, and the only story providing any contrast to an extraordinarily bleak remainder. Even the most gung-ho idiot discovers war is no fun. Unlike most other war stories in comics, the language is unsanitised. Ennis presents squaddies talking as they did, not in the clipped old Etonian style of British war films. Only brutal language explains brutal times, and Ennis creates a stunning authenticity from it. It continues in volume two.